Cities: Capital: Brazzaville (pop. 1.2 million). Other cities — Pointe-Noire (671,000), Dolisie (160,000), Nkayi (64,000). Climate: Tropical. Tropical jungle in the North (country seasonally split — half lies above the Equator; half below the Equator). Nationality: Noun and adjective: Congolese (sing. and pl.). Annual population growth rate (2008 est. ): 2.754%. Ethnic groups: 15 principal Bantu groups; more than 70 subgroups. Largest groups are Bacongo, Vili, Bateke, M'Bochi, and Sangha. Also present is a small population (less than 100,000) of indigenous people who are ethnically unrelated to the Bantu majority. Religions: Traditional beliefs 48%, Roman Catholic 35%, other Christian 15%, Muslim 2%. Health: Infant mortality rate (2008 est.) — 79.78 deaths/1,000 live births. Life expectancy (2009 est.) — 54.15 yrs. Work force: About 40% of population; an undefined majority works in the informal sector. Unemployment is highest for the 16-34 year old population, at more than 42%. Branches: Executive: president (chief of state), Council of Ministers (cabinet). Legislative — bicameral legislature made up of a Senate and a National Assembly. Judicial — Supreme Court, Court of Accounts and Budgetary Discipline, Courts of Appeal (Title VIII of the 2002 constitution), and the Constitutional Court (Title IX of the 2002 constitution). Other — Economic Council and Human Rights Commission. Political parties: More than 100 new parties formed (but not all function) since multi-party democracy was introduced in 1990. The largest are the Pan-African Union for Social Democracy (UPADS), Congolese Labor Party (PCT), Congolese Movement for Democracy and Integral Development (MCDDI), Coalition for Democracy and Social Progress (RDPS), Coalition for Democracy and Development (RDD), Union of Democratic Forces (UFD), Union of Democratic Renewal (URD), Union for Development and Social Progress (UDPS). Following the June-October 1997 war and the 1998-99 civil conflict, many parties, including UPADS and MCDDI, were left in disarray as their leadership fled the country. By 2007, many of the leaders had returned, with the notable exception of former President Pascal Lissouba. On December 30, 2009, Republic of the Congo President Sassou-Nguesso enacted an amnesty for offenses alleged against Lissouba, following the bill's adoption by the National Assembly and Senate. In August 2010, UPADS factions reunited to create a unified party under the direct influence of former President Lissouba's wife Jocelyne Lissouba. GDP (2010 est. ): $13.8 billion. Real GDP growth rate (2010 est. ): 12.1%. Per capita income (2010 est. ): $3,732. Natural resources: Petroleum, timber, iron ore, potash, zinc, uranium, phosphates, natural gas, hydropower. Agriculture: Products: manioc, sugar, rice, corn, peanuts, vegetables, coffee, cocoa, forest products. Land — less than 2% cultivated. Trade (2010 est. ): Exports: $10.35 billion (f.o.b. ): petroleum (88.5% of export earnings), timber, minerals, sugar, cocoa, coffee, handicrafts. Exports to the U.S. — $4.46 billion. Imports — $3.73 billion (f.o.b. ): capital equipment, construction materials, foodstuffs (over 80% of total foodstuffs imported). Imports from the U.S. — $339 million. Congo's sparse population is concentrated in the southwestern portion of the country, leaving the vast areas of tropical jungle in the north virtually uninhabited. 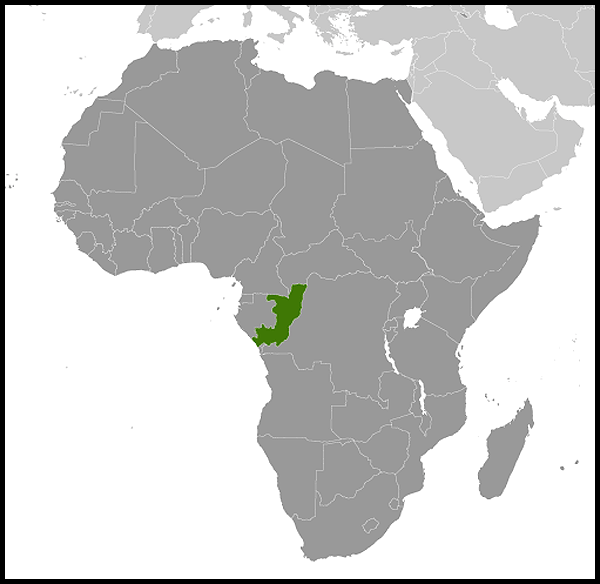 Thus, Congo is one of the most urbanized countries in Africa, with 70% of its total population living in Brazzaville, Pointe-Noire, or along the 332-mile railway that connects them. In southern rural areas, industrial and commercial activity suffered as a consequence of the civil wars in the late 1990s. Except in Kouilou province and Pointe Noire, commercial activity other than subsistence activity came nearly to a halt. A slow recovery began in 2000 and continued through 2010. Before the 1997 war, about 9,000 Europeans and other non-Africans lived in Congo, most of whom were French. Only a fraction of this number remains. The number of American citizens residing in Congo typically hovers around 300. First inhabited by indigenous people, Congo was later settled by Bantu groups that also occupied parts of present-day Angola, Gabon, and Democratic Republic of the Congo (formerly Zaire), forming the basis for ethnic affinities and rivalries among those states. Several Bantu kingdoms — notably those of the Kongo, the Loango, and the Teke — built trade links leading into the Congo River basin. The first European contacts came in the late 15th century, and commercial relationships were quickly established with the kingdoms — trading for slaves captured in the interior. The coastal area was a major source for the transatlantic slave trade, and when that commerce ended in the early 19th century, the power of the Bantu kingdoms eroded. Congo's first President was Fulbert Youlou, a former Catholic priest from the Pool region in the southeast. He rose to political prominence after 1956, and was narrowly elected President by the National Assembly at independence. Youlou's 3 years in power were marked by ethnic tensions and political rivalry. In August 1963, Youlou was overthrown in a 3-day popular uprising (Les Trois Glorieuses) led by labor elements and joined by rival political parties. All members of the Youlou government were arrested or removed from office. The Congolese military took charge of the country briefly and installed a civilian provisional government headed by Alphonse Massamba-Debat. Under the 1963 constitution, Massamba-Debat was elected President for a 5-year term and named Pascal Lissouba to serve as Prime Minister. President Massamba-Debat's term ended abruptly in August 1968, when Capt. Marien Ngouabi and other army officers toppled the government in a coup. After a period of consolidation under the newly formed National Revolutionary Council, Major Ngouabi assumed the presidency on December 31, 1968. One year later, President Ngouabi proclaimed Congo to be Africa's first "people's republic" and announced the decision of the National Revolutionary Movement to change its name to the Congolese Labor Party (PCT). On March 18, 1977, President Ngouabi was assassinated. Although the persons accused of shooting Ngouabi were tried and some of them executed, the motivation behind the assassination remains unclear. An 11-member Military Committee of the Party (CMP) was named to head an interim government with Colonel (later General) Joachim Yhomby-Opango to serve as President of the Republic. Accused of corruption and deviation from party directives, Yhomby-Opango was removed from office on February 5, 1979, by the Central Committee of the PCT, which then simultaneously designated Vice President and Defense Minister Col. Denis Sassou-Nguesso as interim President. The Central Committee directed Sassou-Nguesso to take charge of preparations for the Third Extraordinary Congress of the PCT, which proceeded to elect him President of the Central Committee and President of the Republic. Under a congressional resolution, Yhomby-Opango was stripped of all powers, rank, and possessions and placed under arrest to await trial for high treason. He was released from house arrest in late 1984 and ordered back to his native village of Owando. After 2 decades of turbulent politics bolstered by Marxist-Leninist rhetoric, and with the collapse of the Soviet Union, the Congolese gradually moderated their economic and political views to the point that, in 1992, Congo completed a transition to multi-party democracy. Ending a long history of one-party Marxist rule, a specific agenda for this transition was laid out during Congo's national conference of 1991 and culminated in August 1992 with multi-party presidential elections. Sassou-Nguesso conceded defeat and Congo's new President, Prof. Pascal Lissouba, was inaugurated on August 31, 1992. Congo's democratic progress was derailed in 1997. As presidential elections scheduled for July 1997 approached, tensions between the Lissouba and Sassou-Nguesso camps mounted. When President Lissouba's government forces surrounded Sassou-Nguesso's compound in Brazzaville with armored vehicles on June 5, Sassou-Nguesso ordered his militia to resist. 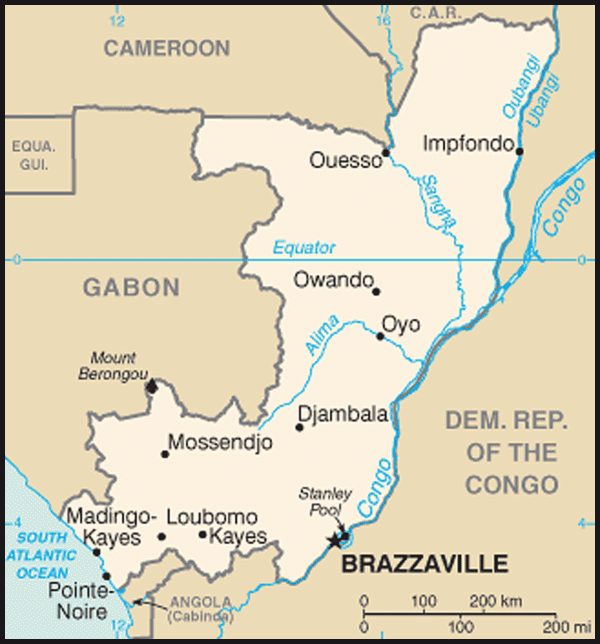 Thus began a 4-month conflict that destroyed or damaged much of Brazzaville. In early October, Angolan troops invaded Congo on the side of Sassou-Nguesso and, in mid-October, the Lissouba government fell. Soon thereafter, Sassou-Nguesso declared himself President and named a 33-member government. The December accord, mediated by President Omar Bongo of Gabon, called for follow-on, inclusive political negotiations between the government and the opposition. During the years 2000-2001, Sassou-Nguesso's government conducted a national dialogue (Dialogue Sans Exclusif), in which the opposition parties and the government agreed to continue on the path to peace. Ex-President Lissouba and ex-Prime Minister Kolelas refused to agree and were exiled. They were tried in absentia and convicted in Brazzaville of charges ranging from treason to misappropriation of government funds. Ex-militiamen were granted amnesty, and many were provided micro-loans to aid their reintegration into civil society. Not all opposition members participated. One group, referred to as "Ninjas," actively opposed the government in a low-level guerrilla war in the Pool region of the country. Other members of opposition parties have returned and have opted to participate to some degree in political life. A new constitution was drafted in 2001, approved by the provisional legislature (National Transition Council), and approved by the people of Congo in a national referendum in January 2002. Presidential elections were held in March 2002, and Sassou-Nguesso was declared the winner. Legislative elections were held in May and June 2002. In March 2003, the government signed a peace accord with the Ninjas, and the country has remained stable and calm since the signing. President Sassou-Nguesso allowed Kolelas to return to Congo for his wife's funeral in October 2005 and subsequently asked that parliament grant Kolelas amnesty. Parliament complied with Sassou-Nguesso's request in December 2005. In 2007, Sassou-Nguesso announced he would allow the return of former president Pascal Lissouba, along with a pardon for the 2001 in absentia conviction for "economic crimes" for which Lissouba had been sentenced to 30 years. Although a general amnesty has been granted to Lissouba since December 2009, he has not yet returned to the country. Now a health condition requiring regular treatment not available in Brazzaville seems to be the only real obstacle to his return. Former Prime Minister Joachim Yhombi-Opango returned to the country in August 2007, after the Council of Ministers granted him amnesty in May for a 2001 conviction in absentia for allegedly improperly selling the country's oil while in office. Legislative elections were held in June and August 2007 and were widely viewed as disorganized and marred by irregularities, with low voter turnout. Presidential elections were held in July 2009, and Sassou-Nguesso was declared the winner. Legislative elections are slated for 2012. Before the 1997 war, the Congolese system of government was similar to that of the French. However, after taking power, Sassou-Nguesso suspended the constitution approved in 1992 upon which this system was based. The 2002 constitution provides for a 7-year presidential term, limited to a maximum of two sequential terms. There is a parliament of two houses that include a National Assembly and a Senate, and members serve for 5 and 6 years, respectively. The Congo's economy is based primarily on its petroleum sector, which is by far the country's greatest revenue earner. The Congolese oil sector is dominated by the French oil company Total and the Italian oil firm Eni. The three American players in the petroleum production sector are Chevron, ExxonMobil, and Murphy Oil. Chevron is a longtime player in the Congolese market, but its participation has been limited to non-operator joint venture partnerships with Total and Eni. Chevron is exploring exploitation of new fields in the Lianzi region, a joint exclusive economic zone agreement between Congo and Angola, in which Chevron would be the principal operator. ExxonMobil owns a relatively small amount of oil-laden acreage and acts as a joint operator in all fields. Murphy Oil exported its first shipment of 600,000 barrels of oil in October 2009 and produces 15,000 barrels per day, or about 5% of Congo's daily production, though revised 2010 figures may as much as double that amount. American companies including Baker-Hughes, Halliburton, Nabors, Schlumberger, and Weatherford also have an important stake in the oil services sector. The return of stability to Congo is also leading to increased foreign investment in other areas. President Sassou-Nguesso sees the industrialization of the Congo as a key component of his plan to modernize the country. Mineral extraction is one key growth sector. MagMinerals, a Canadian company, recently began construction of a new potash mine that is expected to produce 1.2 million tons of potash (potassium carbonate) per year by 2013. This will make Congo the largest producer of potash in Africa. The most important mineral reserves, however, will likely prove to be iron ore. Seven mine sites have been identified in the north and west of the country, with a variety of international companies heading exploration. Three of the mines are expected to enter production by 2014, including the Zanaga mine, operated by the Swiss Xstrata company, which is thought to have ore reserves enough to be the world's third-largest iron ore mine. The President's plans also call for new lead, zinc, and copper concessions. Agricultural revitalization is also a cornerstone of this modernization plan, with the government recently signing a lease deal for over 100,000 hectares of farmland with a consortium of South African farmers to grow a variety of vegetables and grains. Currently, the American non-governmental organization International Partnership for Human Development (IPHD) operates the largest agricultural venture in the country, a 1,000-hectare corn farm in the southwest. The country's abundant northern rain forests are a major source of timber. Forestry, which led Congolese exports before the discovery of oil, now generates less than 7% of export earnings. Wood production restarted after having come to a standstill during the war years, and new concessions were leased in 2001. Congo has been active in certifying sections of the forest for sustainable timber development through the Forest Trust Conservancy. Earlier in the 1990s, Congo's major employer was the state bureaucracy, which had 80,000 employees on its payroll — enormous for a country of Congo's size. The World Bank and other international financial institutions pressured Congo to institute sweeping civil service reforms in order to reduce the size of the state bureaucracy and pare back a civil service payroll that amounted to more than 20% of GDP in 1993. The effort to cut back began in 1994, with a 50% devaluation that cut the payroll in half in dollar terms. By the middle of 1994, there was a reduction of nearly 8,000 in civil service employees. Between 1994-1996, the Congolese economy underwent a difficult transition. The prospects for building the foundation of a healthy economy, however, were better than at any time in the previous 15 years. Congo took a number of measures to liberalize its economy, including reforming the tax, investment, labor, timber, and hydrocarbon codes. In 2002-2003, Congo privatized key parastatals, primarily banks, telecommunications, and transportation monopolies, to help improve a dilapidated and unreliable infrastructure. This reform program came to a halt in early June 1997 when war broke out, and the return of armed conflict in 1998-99 hindered economic reform and recovery. President Sassou-Nguesso has moved forward on improved governance, economic reforms, and privatization, as well as on cooperation with international financial institutions. President Sassou-Nguesso also has made speeches outlining the need for good governance and transparency in the Congo, particularly during his 2003 and 2004 National Day addresses. Before June 1997, Congo and the United States ratified a bilateral investment treaty designed to facilitate and protect foreign investment. The country also adopted a new investment code intended to attract foreign capital. Congo has made some commendable efforts at political and economic reform, but despite these successes, the country's investment climate has challenges, offering few meaningful incentives for new investors. High costs for labor, energy, raw materials, and transportation; a restrictive labor code; low productivity and high production costs; and a deteriorating transportation infrastructure have been among the factors discouraging investment. Five years of civil conflict (1997-2003) further damaged infrastructure, though the privatization of some statal and parastatal enterprises has generated some interest from U.S. companies. In March 2006, the World Bank, International Monetary Fund (IMF), and the Paris Club group of official creditor countries approved interim debt relief for Congo under the Heavily Indebted Poor Countries (HIPC) Initiative, noting that Congo had performed satisfactorily on an IMF-supported reform program and developed an interim Poverty Reduction Strategy. Resources freed by interim debt relief granted to Congo had to be used for poverty reduction under a reform program closely monitored by the international financial institutions. The London Club of commercial creditors and Congolese Government also signed an agreement in November 2007 forgiving 77% of the country's London Club debt. In 2008 and 2009, the government worked closely with the IMF and World Bank to implement reforms that would satisfy all of the "triggers" in the Poverty Reduction Strategy, and in January 2010 the IMF declared that the Congo had satisfied all of these triggers. Following this declaration, Congo was granted U.S. $1.9 billion in debt relief from the Paris Club in March 2010. Congo had paid over U.S. $900 million to a vulture fund in 2009 in order to avoid having problems with international financial transactions. 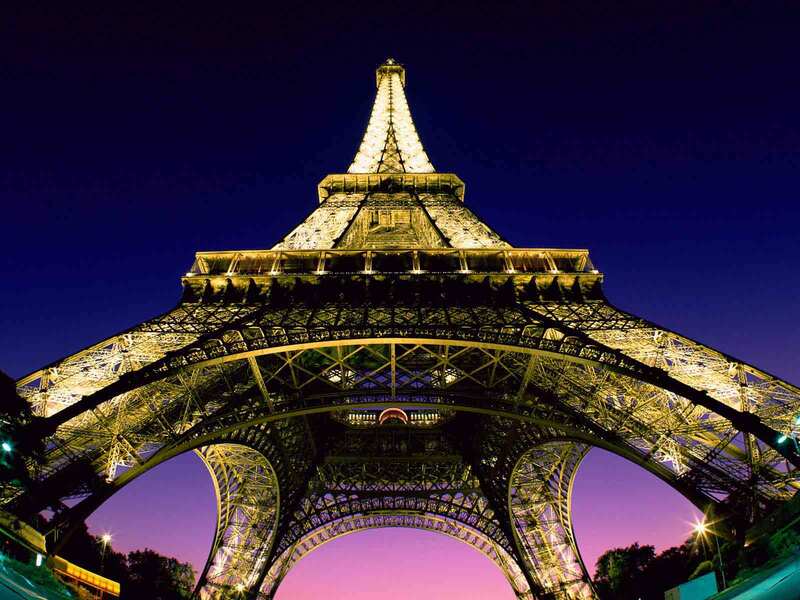 The payment raised concerns at the Paris Club because it was not on "comparable terms," but the Paris Club determined that it would grant debt relief nonetheless. In November 2007, Congo was readmitted to the Kimberley Process, an international multi-stakeholder initiative designed to stem the trade of conflict diamonds. Congo had been suspended from the Kimberley Process in 2004, after reviews showed its diamond exports vastly outnumbered its production capacity. Congo is seeking Extractive Industries Transparency Initiative (EITI) validation and is listed as a candidate country. Significant transparency hurdles remain in the oil and transport sectors that hinder Congo's candidacy. For the 2 decades preceding Congo's 1991 national conference, the country was firmly in the socialist camp, allied principally with the Soviet Union and other Eastern bloc nations. Educational, economic, and foreign aid links between Congo and its Eastern bloc allies were extensive, with the Congolese military and security forces receiving significant Soviet, East German, and Cuban assistance. France, the former colonial power, maintained a continuing but somewhat subdued relationship with Congo, offering a variety of cultural, educational, and economic assistance. The principal element in the French-Congolese relationship was the highly successful oil sector investment of the French petroleum parastatal Elf-Aquitaine (now called Total), which entered the Congo in 1968 and has continued to grow. Congo is a member of the United Nations, African Union, African Development Bank, World Trade Organization (WTO), Central African Economic and Monetary Community (CEMAC), Central African Customs and Economic Union (UDEAC), International Coffee Organization, Economic Community of Central African States ECCAS/CEEAC), INTERPOL, the International Atomic Energy Agency (IAEA), the Nonaligned Movement, the Group of 77, and a number of international commissions. Congo was elected to the UN Human Rights Council in 2011 for a 3-year term. Congo held a seat on the United Nations Security Council during 2006-2007. Beginning in January 2006, President Sassou-Nguesso served a 1-year term as Chairman of the African Union. He has been a highly vocal and visible head of state in regional affairs, including serving as a member of the ad hoc AU Heads of State High Committee on Libya and as an advisor during the leadership crisis in Cote d'Ivoire. Then-presidential candidate Pascal Lissouba traveled to Washington in 1992, meeting with a variety of officials, including Assistant Secretary of State for African Affairs Herman J. Cohen. After his election in August 1992, President Lissouba expressed interest in expanding U.S.-Congo links, seeking increased U.S. development aid, university exchanges, and greater U.S. investment in Congo. With the outbreak of the 1997 war, the U.S. Embassy was evacuated. The Embassy was closed, and its personnel became resident in Kinshasa, Democratic Republic of the Congo. In 2001 suspensions of Embassy operations were lifted, and Embassy personnel were allowed to travel to Brazzaville for periods of extended temporary duty from the U.S. Embassy in Kinshasa. In 2003, U.S.-Congo bilateral relations were reinvigorated, and a site for construction of a new Embassy was acquired in July 2004. Diplomatic activities, operations, and programs were carried out in a temporary bank location until January 2009, when a new, fully functioning Embassy was opened. Assistant Secretary of State for African Affairs Johnnie Carson traveled to Brazzaville in 2010. Relations between the United States and the government of President Denis Sassou-Nguesso are positive and cooperative. The U.S. Embassy (http://brazzaville.usembassy.gov/) in Congo is located on Boulevard Denis Sassou-Nguesso (also called Boulevard Maya-Maya, or Boulevard de l'Aeroport), Brazzaville, Republic of the Congo (tel: 242-06 612-2000; no fax capability). American citizens may email the Embassy at BrazzavilleACS@state.gov (BrazzavilleACS@state.gov).